155 days to the Walk! 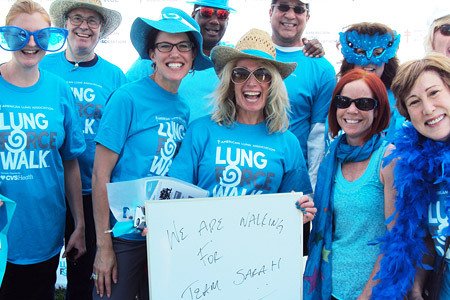 LUNG FORCE Walks are a signature fundraising event at the American Lung Association. We rally our friends, neighbors and colleagues to raise our voices against lung cancer and lung disease. Funds raised support research, advocacy and educational programs. LUNG FORCE Walks give a voice to those who are affected by lung disease. Help a participant or team reach their fundraising goals.